You’re playing a 9 seated sit-and-go tournament in the middle stages. A player in front of you has raised and you have called. 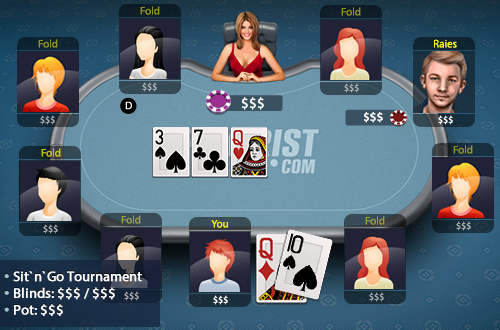 The flop comes 37Q and you are holding Q10. The player puts in a half-pot sized bet.